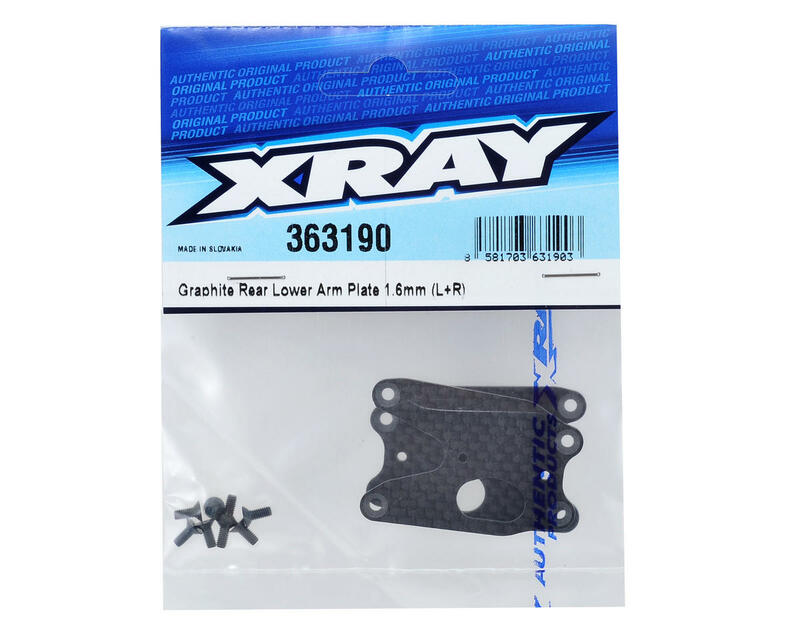 This is a pack of two XRAY XB4 1.6mm Graphite Rear Lower Arm Plates. Package includes left and right side arm plates and installation hardware. Innovative and unique SFA graphite stiffeners allow for super-quick rear lower suspension flex adjustment to easily adjust the traction of the car under various track conditions. Whether racing in low- or high-traction track conditions, you can easily adjust the flex of the rear lower arms by quickly and easily adding/removing optional graphite stiffeners to change the stiffness of the suspension. 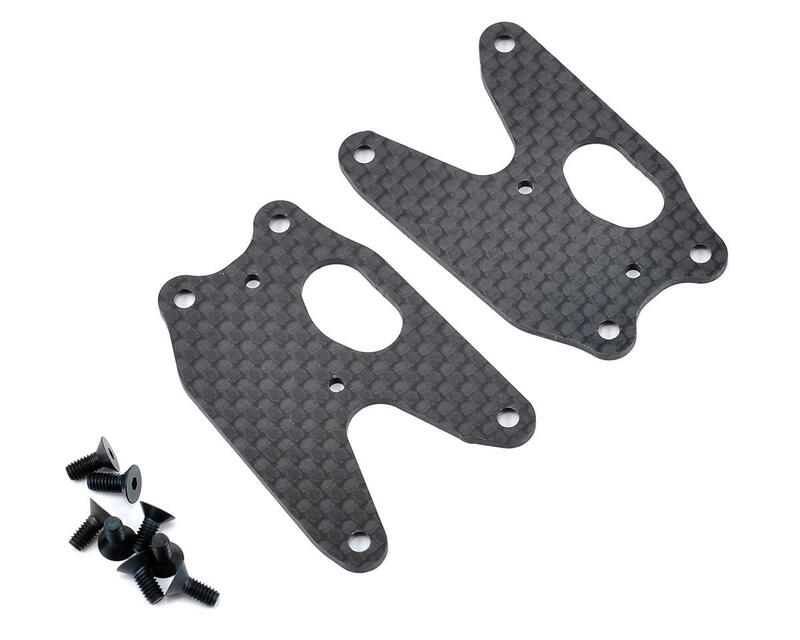 At the beginning of a race when traction is low, the arms may be used without SFA graphite stiffeners; as traction increases, the suspension can be easily stiffened by mounting the SFA graphite stiffeners for more stability and easier driving characteristics. The graphite stiffeners give the car maximum stability in chicanes and allow for easier and smoother steering.